Jakarta is not a destination you’ll see on many people’s travel buckets lists. We stopped off for three nights simply because it was en-route from Yogyakarta to Sydney. It turns out that spending three days in Jakarta with kids was fabulous, in fact we’d have happily stayed a little longer! If you find yourself in Jakarta with kids in tow, here’s how to entertain them. 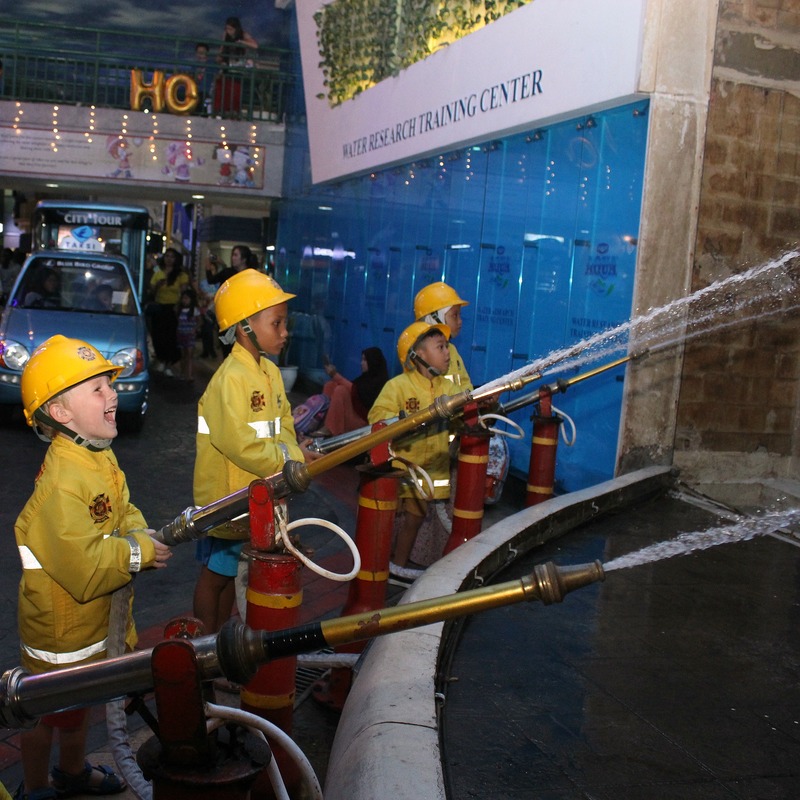 If there’s a reason to go to Jakarta with kids, it is hands down Kidzania. The boys loved this place and I loved it too! What on earth is Kidzania? Basically it’s an adult world, shrunk into a kid-size city. It has streets, buildings, retail and different vehicles going around the City. Kinda like dress-ups on steroids, kids get to test out their future professions. 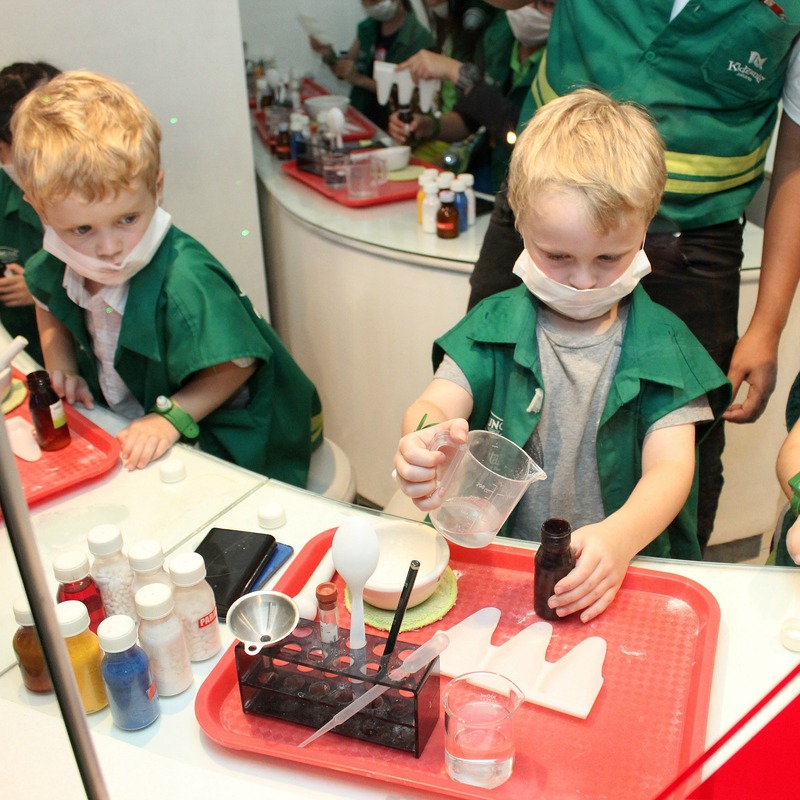 Honestly, you name an occupation and Kidzania has it! 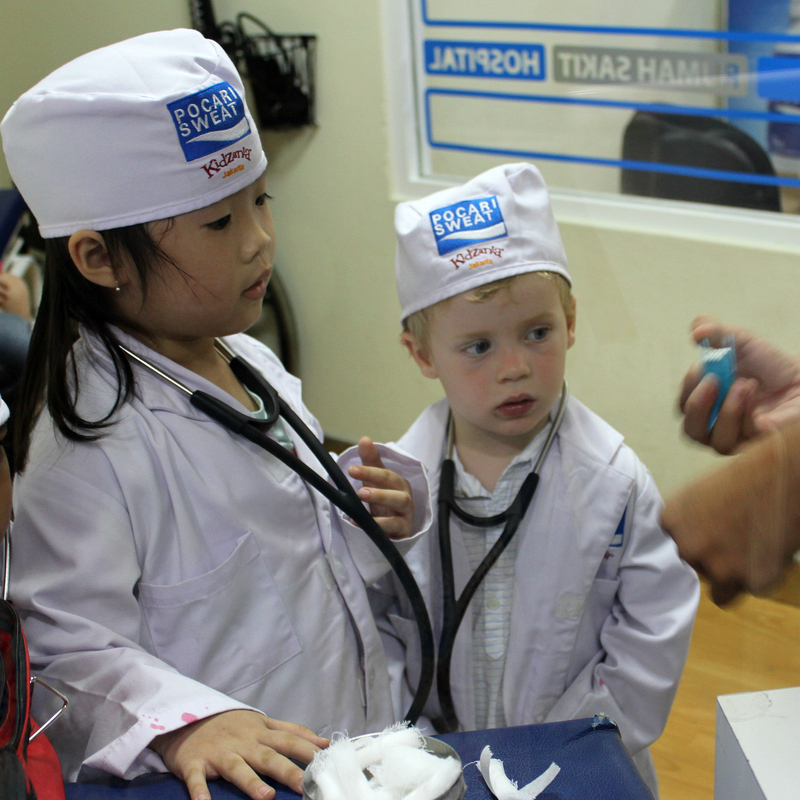 The kids even get paid in Kidzania dollars and then spend their money at the Kidzania shop. To really do this place justice you need a day. I have a huge crush on Kidzania (at one point I was planning our next holiday based on Kidzania locations) so stay tuned for a whole post dedicated to it! Jakarta is a hot and humid city. Unsurprisingly, there are plenty of waterparks in Jakarta. We headed off to Waterbom Jakarta because we’d had a great time at the Bali Waterbom. It’s not a lush or pristine as it’s Bali counterpart but did provide a great place to cool down and have a day of family fun. 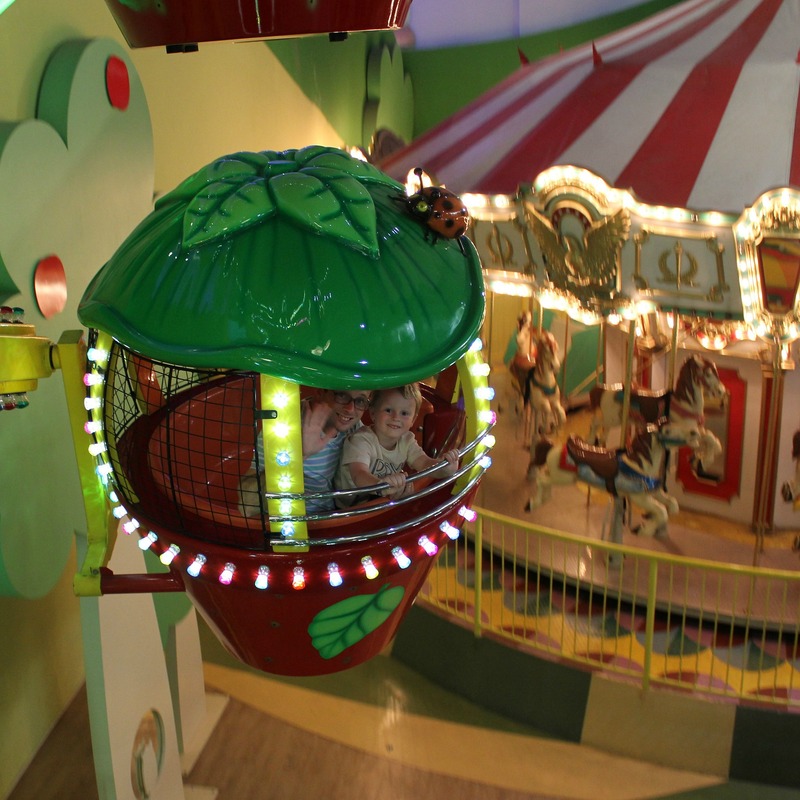 Waterbom Jakarta has something for every member of the family. There’s a great water play area for kids three and under, with small slides, shallow water and a bucket that intermittently soaks everyone. There’s another area with waterslides ideal for our 5 and 3 year olds to navigate on their own and at least one big slide that worked for the big boys and I on a tube. There’s also a ‘lazy river’ that you can sit in a tube and float along. 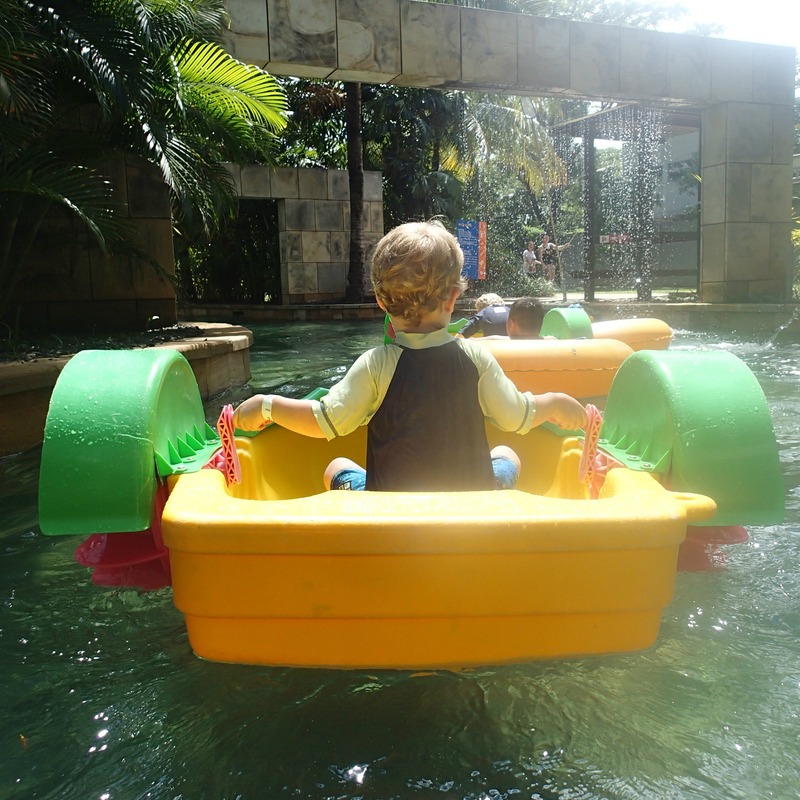 In Jakarta you can also hire a mini pedal boat (kid size) for the kids to take around the lazy river. Hire towels, a locker for valuables and hire a hut as a base and for much needed shade. With a great deal of encouragement we even got the littlest lad to have a snooze in the hut. I know, I know, kids hate shopping. But the shopping malls in Jakarta are a whole new world. On the last day of our Indonesian adventure we went to Grand Indonesia. This mall is massive. 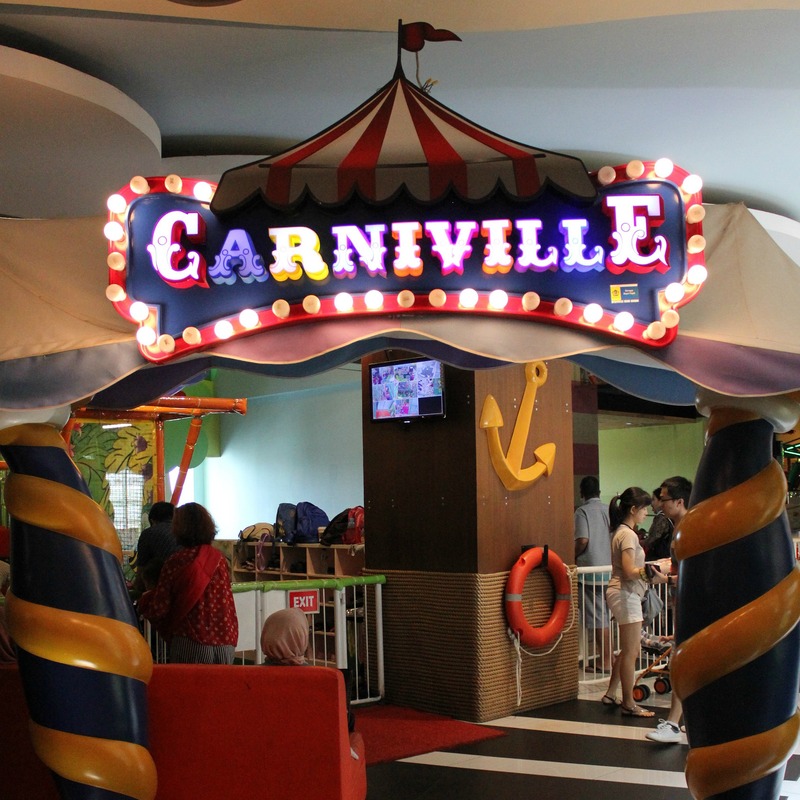 So huge it includes a mini theme park called Carniville (Level 3A of the East mall). 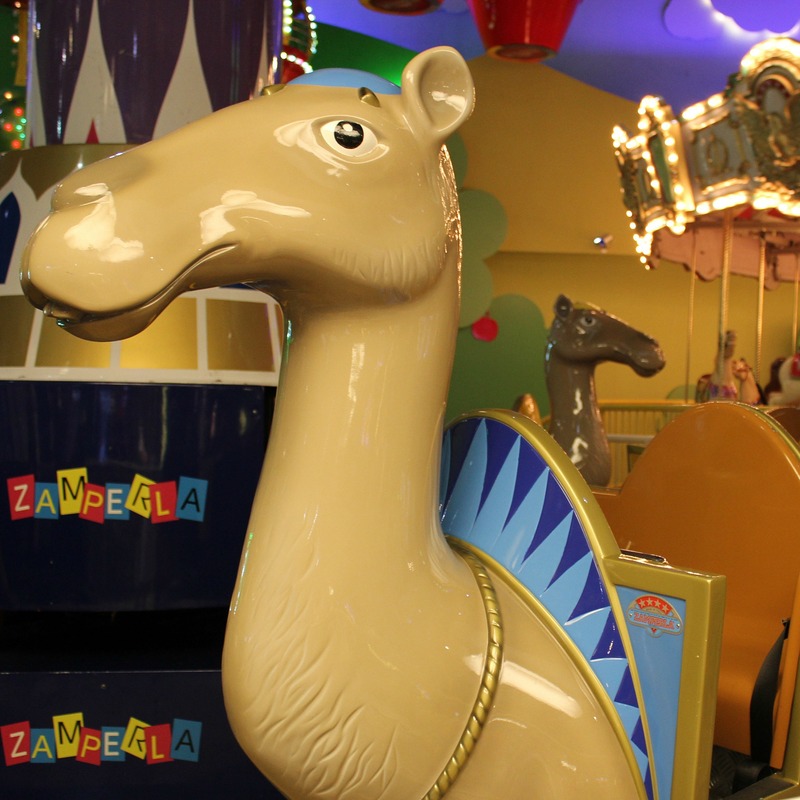 It was rather magical with the mini-Ferris wheel, the cable cars in the shape of strawberries and the merry-go-round with camels. There are even bumper cars, a min-train and an obligitoary ball pit, climbing area thing. 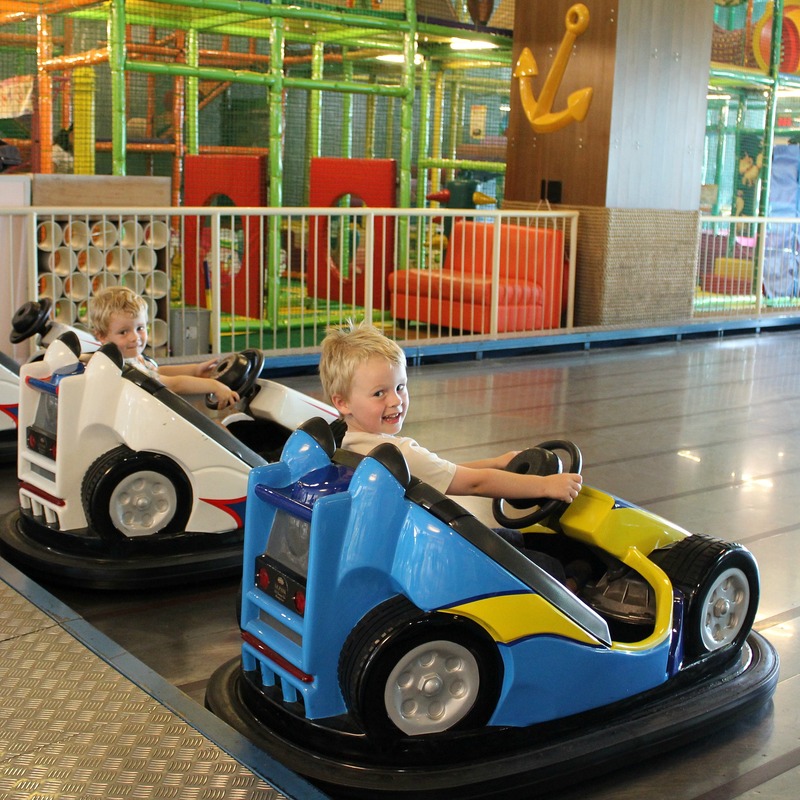 The biggest and middle lads were able to go on all of the rides, while one parent wheeled the littlest lad around in the pram to explore the shops. Without kids in tow you could wander around for a very long time and no doubt spend a lot of money! There is no train system in Jakarta, but there are public buses. While traffic in Jakarta has a tendency to be congested and a little manic, we found the easiest and most direct way of getting around was in a taxi. We stuck to the ‘blue bird’ cabs and with the exception of going to the wrong Fraser Apartments on one occasion, had no dramas. Very few drivers speak English, so give clearly state where you are going. We found it very useful to take a few of the hotel’s business cards with us. On the back they have a map with the location of the hotel marked on it. Hand that to your driver and away you go. Unless of course the driver decides he knows where he is going without referring to the map! We usually avoid eating in malls but it’s a different story in Jakarta. There are some fancy pants restaurants in the malls, with great atmosphere and food. A very long way from an Australian food court. It’ll be easy to find great places to eat, my only advice is not to turn your nose up at eating in a mall. If you have longer in Jakarta, there are plenty of other kid friendly activities. We had too many things we wanted to do and not enough days! With more time we’d have liked to make the trip to the Taman Safari Zoo. We decided against the zoo on this trip because it’s a rather long drive from the city and we’d been to zoos in both Bali and Yogyakarta. That’s how we spent three days in Jakarta with our boys, with plenty of swims in the hotel pool thrown in! Have you been to Jakarta with kids? What did you get up to? Honestly, Kidzania was totally amazing! EHRMAGERDDDD!!! 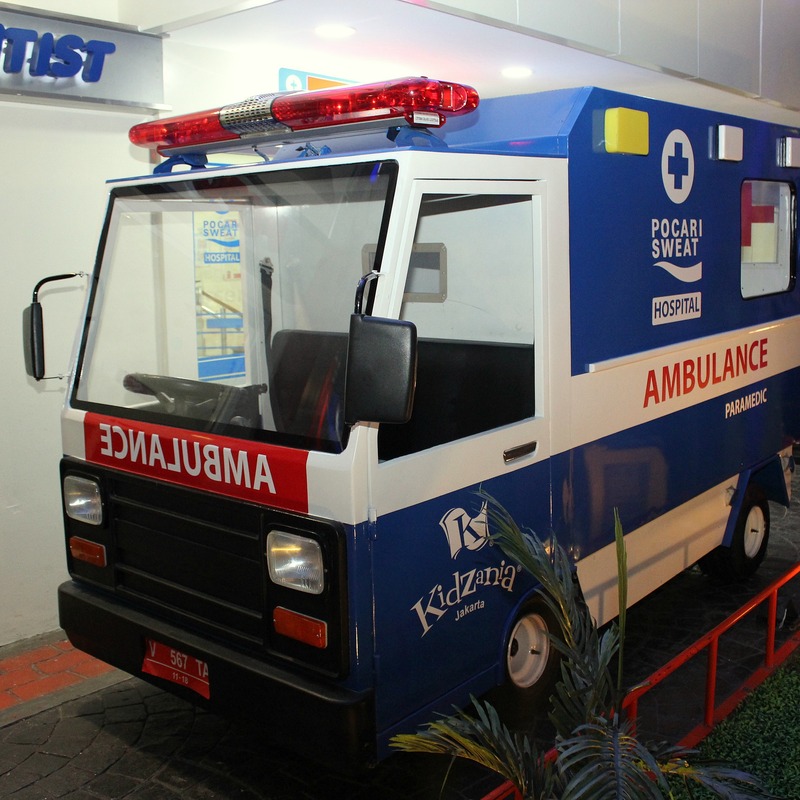 Kidzania looks crazy awesome. I want to live in that first photo, and I normally hate parks. Kidzania was brilliant, such a fabulous concept! That looks totally awesome! What an experience for the boys!! It was fabulous Rachel, far exceeded my expectations! OMG, Jakarta has definitely never been on my list of places to take the boys but I so want to go now! My boys would LOVE all these places!!! Wow Kidzania looks amazing. The water park sounds a lot like Wet n Wild on the Gold Coast too. Kidzania was amazing! It’s been so long since I visited Wet n Wild I barely remember it Tegan. I had no idea Jakarta was so kid friendly! That’s awesome! I want to visit there now. Neither did I Jess, it really was terrific! Hello there, this is so handy! I haven’t been to Jakarta with kids myself but this is a boon if I ever have that plan. Will share on FB, my audience enjoys travel stories from others! Thanks ever so much for your lovely comment Seana. 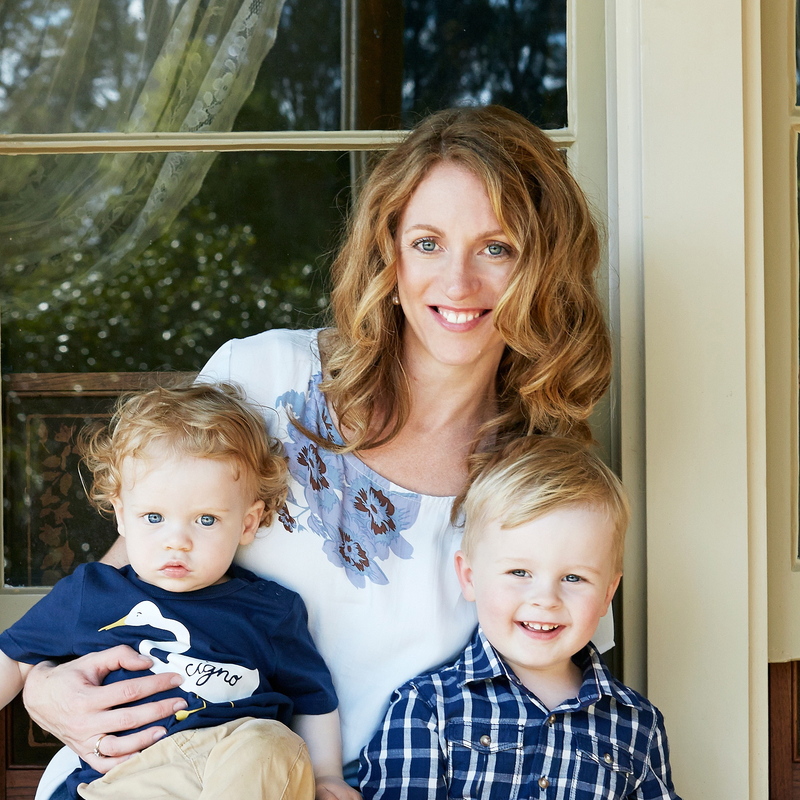 I’d love you to share my post with your readers!